On Monday the Advisory Committee of the Haydn Society met to discuss the Society and the specific issue of the Haydn plaque. 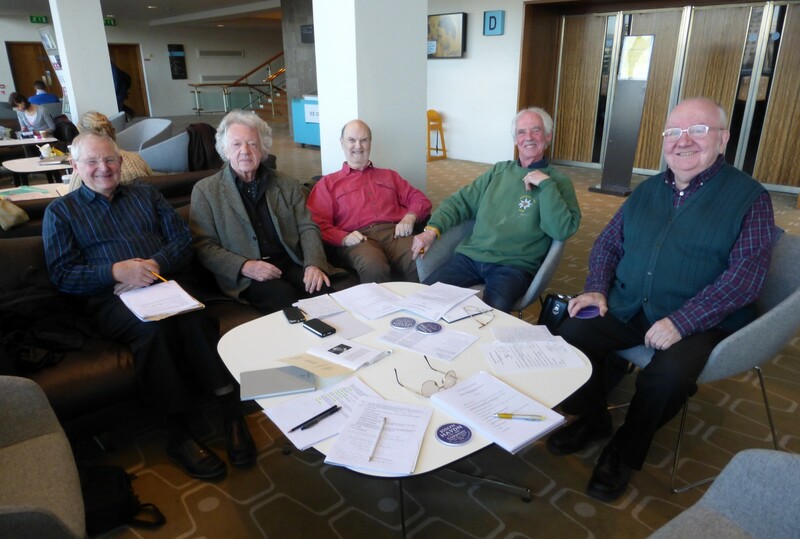 The committee – (right to left) Anthony Halstead, Derek McCulloch, John Hewitt, Antony Hodgson and director Denis McCaldin – spent 90 mins talking about various issues. The important news to come from this meeting is that the 18 Great Pulteney Street plaque will be unveiled on Tuesday 24 March. Consequent arrangements will be sent to members and guests but the unveiling itself will be open to all-comers. The time, yet to be confirmed, is likely to be in the middle of the day. At the weekend the Denis McCaldin came to London to see the plaque which was delivered the week before. He visited the site on Great Pulteney Street where the plaque is to be installed, also noting the position of the former Broadwood & Sons piano workshops across the street where Haydn was a welcome visitor in the 1790s. He also brought details of the history of the Society which will be incorporated into a special commemorative edition of the Society Journal. 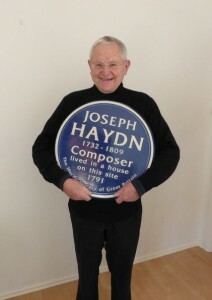 In fact this has turned out to be an important week for Haydn. 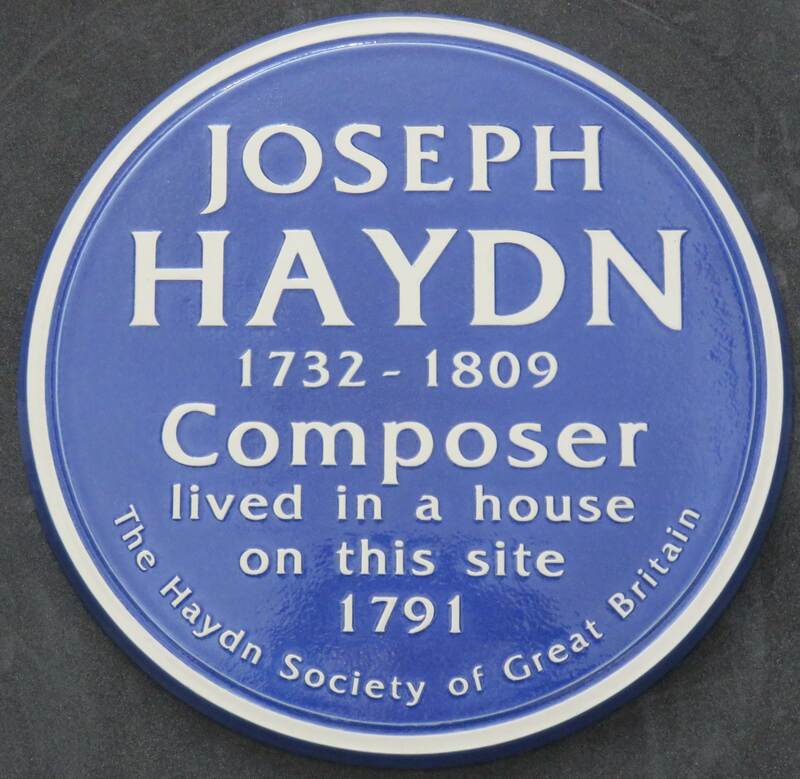 Not only has the Society been brought up to date but BBC Radio 3 have designated Haydn as their Composer of the Week. 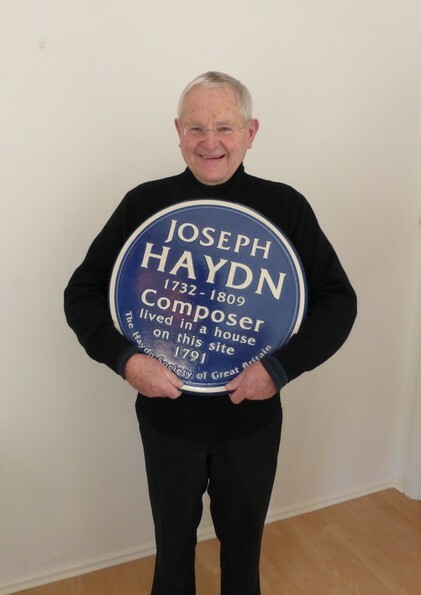 Donald McLeod presented a series of five hour-long radio programmes on Haydn (in Esterháza). You can listen to them all again via the BBC iPlayer. If you want to join in the conversation about Haydn, please visit our Facebook or Twitter pages. If you are interested in membership of the Society, please visit the Membership page of this website. Happy New Year. Here’s the plaque! 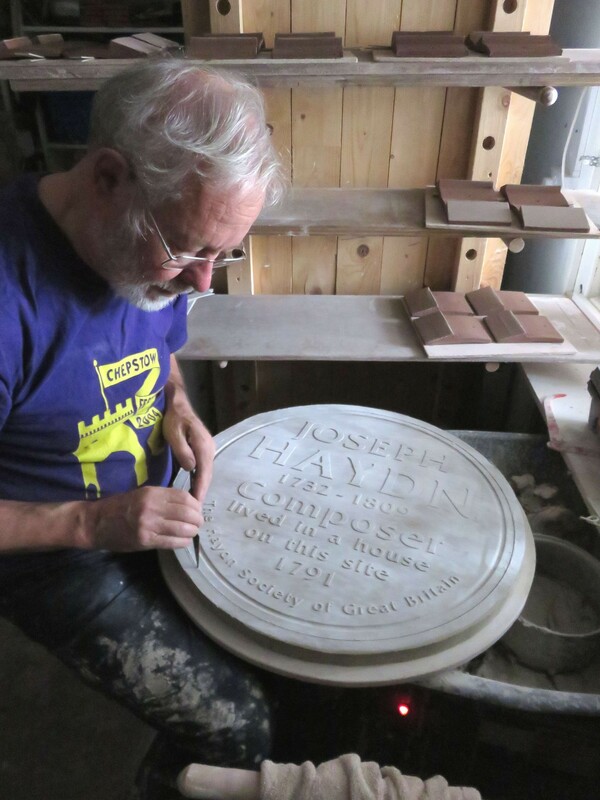 I’m delighted to share with you that the plaque to Joseph Haydn we have commissioned is ready! Over the last six weeks it has been hand-made by Ned Heywood and his team at Heritage Ceramics, who specialise in this work. Ned kindly photographed the various stages of production for us to share with you. 1. (above) The raw clay plaque ready to be fired. Ned makes plaques for various types of commission and uses different types of clay, according to nature of the job. The timing of our order was propitious, as he was about to start a group of works that all required the same recipe. Above, Ned is seen trimming the wet clay of our plaque edge on the potters wheel. We have discovered a lot about what makes a good plaque: if it’s slightly convex the rain running over it will help to keep it clean; the lettering can be done in various ways to help legibility or just to please the eye; the spacing of lines and letters, and relationship of upper- and lower-case is surprisingly expressive. 2. 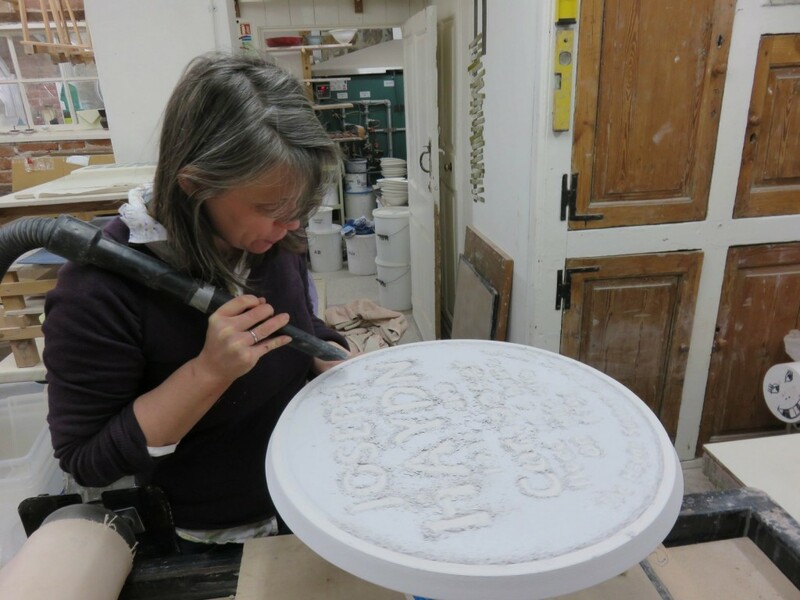 Our plaque is slowly dried for about two weeks and then fired, glazed and fired again. Here it is on the kiln after its first firing. 3. To glaze it, the plaque is sprayed with white and blue glazes. 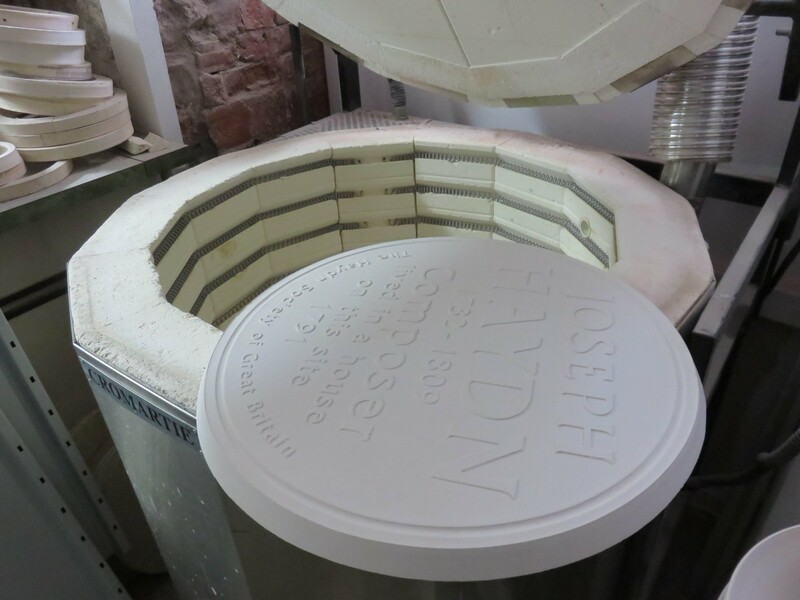 The second of these is cleaned off the lettering to expose the contrasting white below, then the plaque is fired for a second time. 4. Our finished Joseph Haydn plaque. We are now talking to surveyors and builders about the details of mounting the plaque at No 18 Great Pulteney St and awaiting delivery of the object itself to us. We will let you know as soon as the installation and unveiling date is confirmed and hope that as many of you as possible will be able to come and see it in situ, either on unveiling day itself or when you are next in London.